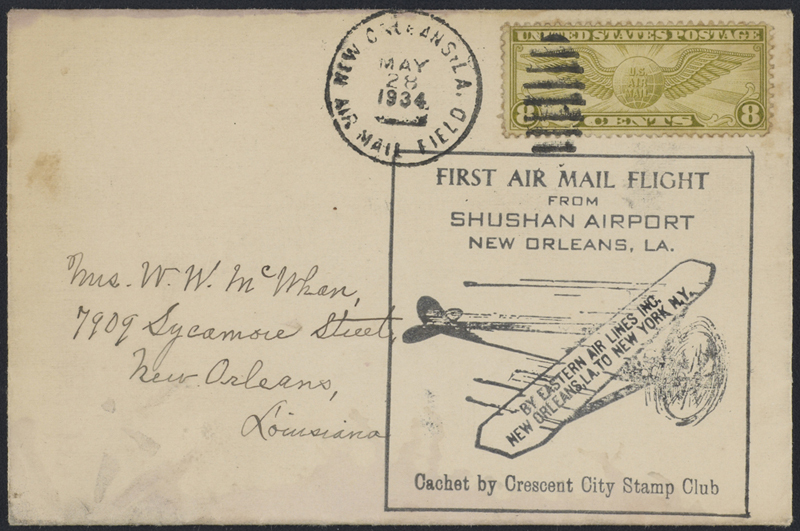 Title: "First Air Mail Flight from Shushan Airport, New Orleans, LA. By Eastern Air Lines Inc., New Orleans to New York, NY. Cachet by Crescent City Stamp Club." Postmarked May 28, 1934. 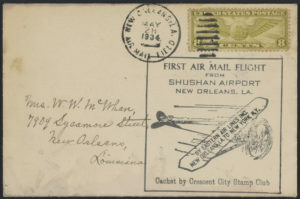 “First Air Mail Flight from Shushan Airport, New Orleans, LA. By Eastern Air Lines Inc., New Orleans to New York, NY. Cachet by Crescent City Stamp Club.” Postmarked May 28, 1934.